Redbox completed the biggest day in the company's history on Monday by announcing it has bought the rival NCR Corporation, which runs the Blockbuster Express kiosks. The company, owned by Coinstar, has paid $100m for all of NCR's entertainment assets and takes control of the 9,000 rental kiosks owned by the company. It now also owns all of the retail contracts and disc inventory in a move which further boosts Redbox's penetration in the cheap, nightly disc rental market. It's a pretty safe bet that all Blockbuster Express kiosks will now be re-branded as Redbox services, following NCR's own purchase of the kiosk arm of Blockbuster's failing business last year. The acquisition is expected to be completed in the third quarter of 2012 and will give Redbox a monopoly on the in-store kiosk market. 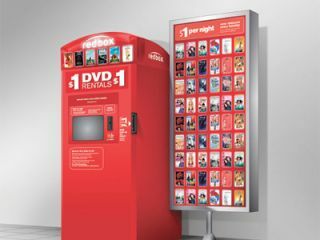 The announcement follows confirmation that Redbox and Verizon have signed an agreement to launch a new service which combines an on-demand offering with physical disc rentals. The partnership, which will launch in the second quarter of this year, will take on Netflix by offering subscriptions to streaming and disc packages.